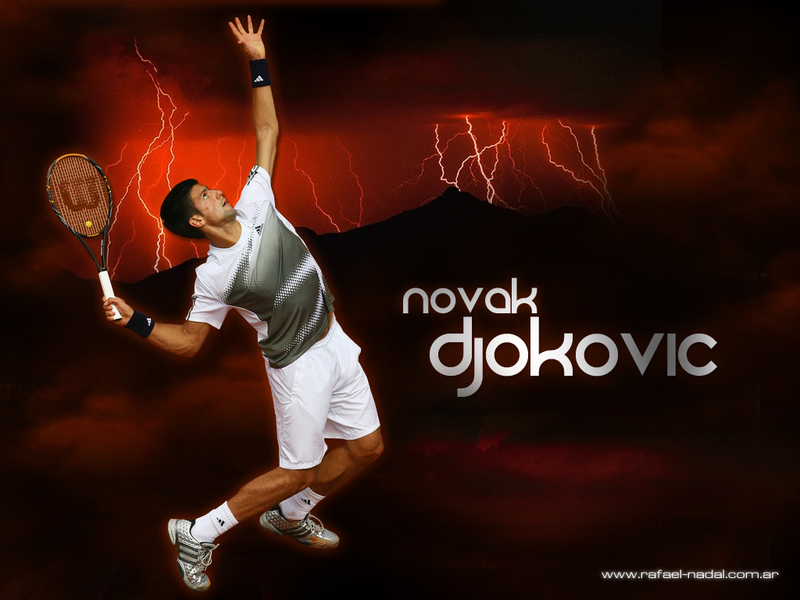 Novak Djokovic (born 22 May 1987) is a Serbian professional tennis player who is ranked No. 2 by the Association of Tennis Professionals (ATP). He has won three Grand Slam singles titles, the 2008 and 2011 Australian Open championships and the 2011 Wimbledon Championships, becoming the first player representing Serbia to win a Grand Slam singles title and the youngest player in the open era to have reached the semi-finals of all four Grand Slam events, separately and consecutively. He is also one of only four players (David Nalbandian, Andy Murray, and Rafael Nadal being the other 3) to beat Roger Federer 3 times in one calendar year. He is also one of four players (Nalbandian, Murray and Nikolay Davydenko being the other) to beat Federer and Nadal in the same tournament twice, accomplishing that feat when he won the 2011 Indian Wells Masters 1000 event. He is also the youngest player in the Open Era to defeat the top three players in succession and he achieved this when he defeated world number 3 Andy Roddick, world number 2 Nadal, and World number 1 Federer in the 2007 Rogers Cup. He is one of only two players to have defeated Federer at the semifinal stage or later on more than one occasion in Grand Slam tournaments, and also at consecutive tournaments (the other being Nadal).